March 2-4, 2017: Join us for the 30th (!!!) NASWA Winter SWL Fest! Broadcasting a live performance of the Shortwave Shindig at the 2015 Winter SWL Fest. Every year, I look forward to the only event I know that brings together both my avid interest in radio and my loyal radio-listening friends: the Winter SWL Fest. This is the one place where, among the 125-plus attendees, you can talk freely about all aspects of the shortwave hobby without any need of explanation as to why you find radio so fascinating. As a result, over the course of the eight years I’ve attended the ‘Fest, it has begun to feel less like a technical hobbyists convention and more like a (most enjoyable) family reunion. The DoubleTree hotel where the Winter SWL Fest is held. Notice anything unique about the top floor of this hotel? This year, the Winter SWL Fest is celebrating its 30th (!!!) Anniversary. The ‘Fest organizers have added an extra day to the convention making it a special three day event. The Winter SWL Fest is a conference of radio hobbyists of all stripes, from DC to daylight. Every year scores of hobbyists descend on the Philadelphia, Pennsylvania suburbs for a weekend of camaraderie. The Fest is sponsored by NASWA, the North American Shortwave Association, but it covers much more than just shortwave; mediumwave (AM), scanning, satellite TV, and pirate broadcasting are among the other topics that the Fest covers. Whether you’ve been to every Fest (all 29, starting with the first year at the fabled Pink & Purple Room of the Fiesta Motor Inn) or this year’s will be your first, you’re sure to find a welcome from your fellow hobbyists. For 2017, the 30th Annual (!!) 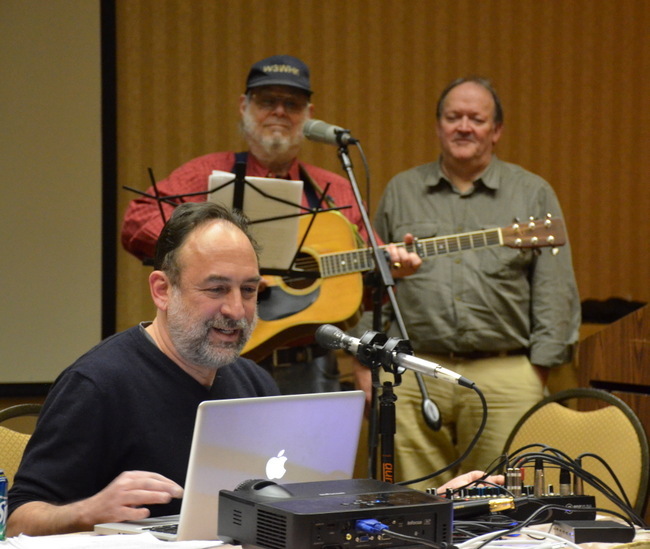 Winter SWL Fest will have three days of sessions where you can learn about the latest developments in the radio listening hobbies, but there’s so much more going on. There’s a silent auction that takes place, where you’re bound to find something of interest. There’s the Hospitality Suite, where attendees partake of tuning oil and other treats and engage in spirited conversations. There is the closing Banquet, with after-dinner remarks by a luminary from the field, often one of the many broadcasters who attend the Fest, followed by the raffle, where you could win one or more of the dozens of prizes, ranging from pens from stations up to top-notch communications receivers. And of course, the infamous midnight ride of Pancho Villa that closes things out every year. Early registration fees are available through the month of January, as an incentive to register early. We strongly urge you to do so as fees will increase for those registering January 28th and later. 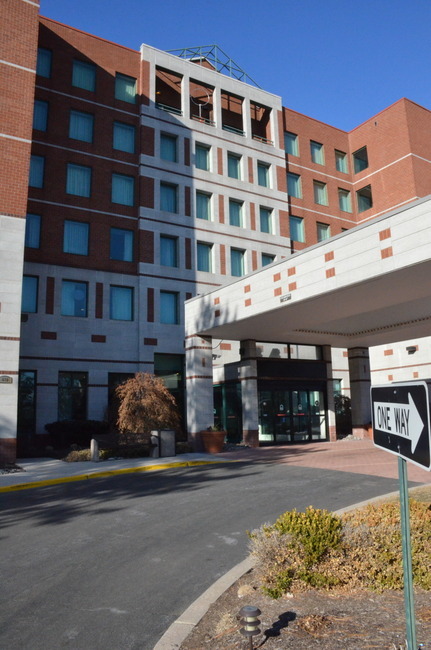 Hotel Registration: The Doubletree Guest Suites offers a special $109 rate (single or double) that includes a full breakfast buffet. Reservations may be made by phone at +1-610-834-8300 or 800-222-8733 or online here; click on Special Rates and enter the group code NAS. If at all possible, please reserve hotel rooms using our group code, so we can maintain proper credit and keep costs down. Fest Registration: A paper reservation form may be downloaded here; you may also register online via PayPal here. Your hosts, Richard Cuff and John Figliozzi, work throughout the year to ensure that attendees have a great time over the weekend, and by all accounts, they succeed stunningly. How else could this event have lasted for 30 years (egad) and draw people from around the world to southeastern Pennsylvania? Won’t you join us? This year, the grand prize at the Winter SWL Fest is the new Icom IC-7300 transceiver (which also happens to be an exceptional general coverage HF receiver). If you can make a pilgrimage to Plymouth Meeting, PA, please do so. I think you’ll enjoy the diversity of programs and people who attend. I’ll be there along with a number of regular SWLing Post contributors. It’s a great time to exchange stories and ideas in person. I always leave the Winter SWL Fest energized about a new aspect of our radio hobby. I think you will too. Click here to register for the Winter SWL Fest online. This entry was posted in AM, FM, Free To Air Satellite, Ham Radio, News, Scanners, Shortwave Radio and tagged 2017 Winter SWL Fest, shortwave, SWL Fest, Winter SWL Fest, Winter SWL Festival on January 23, 2017 by Thomas.